Draft: 2013, Chicago White Sox, 10th rd. Single … Twitter: @B_Gumbo30 Attended Ohio State University … earnedAll-Big Ten honors in 2013. Is a 2008 graduate of Beachwood (Ohio) High School … was named All-Chagrin Valley Conference all four years and conference MVP in 2008. Combined to go 3-5 with a 2.70 ERA (17 ER/56.2 IP), 10 saves and 51 strikeouts over 47 relief appearances between Class AA Birmingham and Class AAA Charlotte. His 10 saves ranked second among Sox farmhands. Was named an International League midseason All-Star. Opened the season with Birmingham, appearing in four games before being promoted to Charlotte on 4/23. Limited right-handers to a .171 mark (19-111) and opponents overall to a .170 average with RISP (9-53) with the Knights. Went 1-3 with a 2.15 ERA (7 ER/29.1 IP), four saves and 29 strikeouts in 24 appearances from 4/23-7/1, including a 1-1 record with a 0.93 ERA (1 ER/9.2 IP) and 11 strikeouts over eight June appearances. Did not allow a run over his last eight appearances from 8/14-9/5, going 2-0 with two saves and 10 strikeouts in 10.0 IP. Pitched in two games for Team Israel in the World Baseball Classic qualifier in September, going 0-0 with a 0.00 ERA (2.0 IP), two saves and three strikeouts. 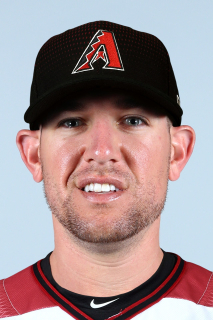 March 14, 2019 Arizona Diamondbacks released RHP Brad Goldberg. March 14, 2019 Jackson Generals released RHP Brad Goldberg. February 25, 2019 RHP Brad Goldberg assigned to Arizona Diamondbacks. September 20, 2018 Jackson Generals activated RHP Brad Goldberg from the 7-day injured list. July 23, 2018 Jackson Generals placed RHP Brad Goldberg on the 7-day disabled list. June 5, 2018 RHP Brad Goldberg assigned to Jackson Generals. June 3, 2018 Chicago White Sox traded RHP Brad Goldberg to Arizona Diamondbacks. May 31, 2018 RHP Brad Goldberg assigned to Charlotte Knights from Birmingham Barons. April 2, 2018 RHP Brad Goldberg assigned to Birmingham Barons from Charlotte Knights. March 4, 2018 RHP Brad Goldberg assigned to Chicago White Sox. October 4, 2017 Chicago White Sox sent RHP Brad Goldberg outright to Charlotte Knights. October 2, 2017 Chicago White Sox recalled RHP Brad Goldberg from Charlotte Knights. August 22, 2017 Chicago White Sox optioned RHP Brad Goldberg to Charlotte Knights. July 19, 2017 Chicago White Sox recalled Brad Goldberg from Charlotte Knights. June 9, 2017 Chicago White Sox optioned RHP Brad Goldberg to Charlotte Knights. June 3, 2017 Chicago White Sox recalled Brad Goldberg from Charlotte Knights. March 15, 2017 Chicago White Sox optioned RHP Brad Goldberg to Charlotte Knights. November 18, 2016 Chicago White Sox selected the contract of Brad Goldberg from Charlotte Knights. April 23, 2016 RHP Brad Goldberg assigned to Charlotte Knights from Birmingham Barons. April 5, 2016 RHP Brad Goldberg assigned to Birmingham Barons from Winston-Salem Dash. March 11, 2016 RHP Brad Goldberg assigned to Chicago White Sox. August 24, 2013 RHP Brad Goldberg assigned to Winston-Salem Dash from Kannapolis Intimidators. June 29, 2013 Brad Goldberg assigned to Kannapolis Intimidators from Great Falls Voyagers. June 19, 2013 Brad Goldberg assigned to Great Falls Voyagers. June 15, 2013 Chicago White Sox signed RHP Brad Goldberg.